Visit our Range Rates & Rules page for more information. All Safety Rules Strictly Enforced. Learn about our Fun Shoot League. Don’t own a pistol? Want to try different firearms? A & S has a great selection of rental guns for your shooting fun. Pistol shooting is great for Birthday Celebrations, Bachelor or Bachelorette Parties, Corporate Getaways, and more. Contact us about reserving a bay. Our gift certificates never expire and never lose their value. Certificates can be redeemed for everything that A & S has to offer: firearms, accessories, range time, targets, ammunition, memberships, leagues or classes. At A & S Indoor Pistol Range in Youngwood, PA, we’re open to the public, and our attitude is all about Community, Family, and Fun. Whether you’re learning to shoot, planning an out-of-the-ordinary party, want to join a fun league, or do some serious target shooting, you’ll find A & S a surprisingly affordable and accommodating destination. You must be 12 years of age to shoot in the Range. An individual under the age of 21 must be accompanied by an adult 21 years of age or older. All firearms must be in a case, bag or holster before entering the building. ALL TARGETS used in the Range must be purchased from A & S Indoor Pistol Range. The Range offers many different targets to choose from. A & S Indoor Pistol Range offers a large selection of rental guns. The ammunition used in the rental guns must be purchased at the Range. Long guns are permitted as long as they are using pistol caliber ammunition. Any true pistol caliber ammunition, factory loads and reloads, are permitted in the Range. When signing in at the Range, please tell the Range Officer if you want to collect your brass. Our female clientele is growing stronger every day! Believe us, you won’t feel out of place. In the last decade, women have entered the target shooting world at a record pace and oftentimes (and even to their surprise) they are fantastic shooters. The excitement on their faces is…priceless! Make it a social. Come for a fun time with your friends or plan a women’s get together. Pistol shooting is both competitive and confidence building. Classes and instruction are available. Contact us today to learn more. We really liked Todd, the Owner! He was so informative and helpful, especially since we were all new shooters. His instruction allowed us to shoot really well and accurately! Thanks, A & S! Get out of the house and relieve some stress! Bring your buddies for some quality bonding time. Whether you’re an experienced shooter or looking forward to sending your first shots down range, A & S is the perfect place to experience this great American sport. Classes and instruction are available. Contact us today to learn more. Youngsters 12 and over accompanied by an adult (21 years and older) can shoot at the range. It’s a great opportunity to get your boys away from the video games and help your girls build confidence and a can-do attitude. Best of all, it’s a family experience everyone can look forward to - exciting, competitive, fun, and a fresh topic of conversation. Family memberships are available. Classes and instruction are available. Contact us today to learn more. You must be at least 12 years of age to shoot in the Range. An individual under the age of 21 must be accompanied by an adult 21 years of age or older. 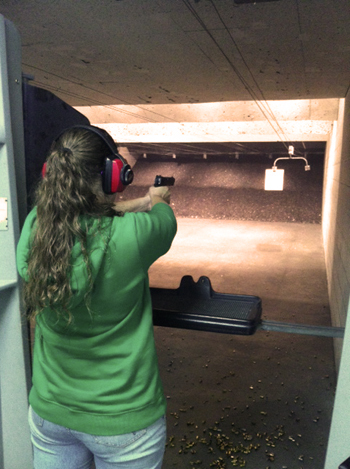 If you are a regular shooter, A & S Indoor Pistol Range offers both a monthly and a yearly membership. A monthly membership is for an individual only. A yearly membership can be either an individual or family membership. A family membership includes parent/guardian and their children at least 12 years of age but under the age of 21. Learn more on our Range Rates & Rules page. During the winter months, bay rentals can only be scheduled Tuesday through Friday. Our climate controlled indoor pistol range has become a favorite destination for everything from birthday parties to bachelor and bachelorette parties. Your guests will be talking about the experience for years to come and may just pick up an exciting new hobby! 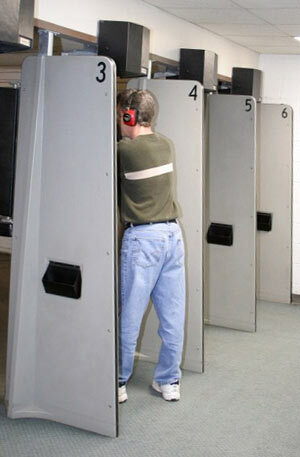 Our range has 2 bays (rooms) and each bay accommodates up to 12 shooters at one time. For larger groups, there is a large observation area with a glass viewing area for others in your group to watch the action and rotate in and out of the range. Please arrive 30 minutes before your bay rental. Your bay rental begins at the time of your reservation. For each bay rental reservation, a $45.00 nonrefundable deposit is required. Get Social! Contact A & S to reserve a date and time for your group or party. A & S Indoor Pistol Range offers a “Purple Pistol Perks” card. Each time you pay to shoot at the pistol range, the Range Officer will stamp your card. After you receive five stamps, you can redeem your card for an hour free range time. 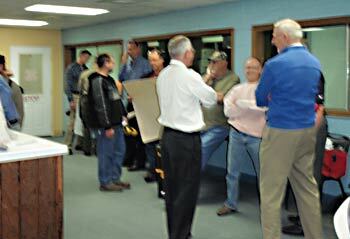 This is just our way of saying thank you for shooting at A & S Indoor Pistol Range. Having trouble finding a 'cool' gift for that special person who doesn't seem to need or want anything? How about a gift certificate from A & S Indoor Pistol Range? Our gift certificates can be redeemed for everything A & S has to offer. If your special someone loves to shoot in the Range, they can redeem it for Range time, targets, rental guns, ammunition or memberships. If a firearm purchase is in the near	future for them, they can use the gift certificate to purchase a firearm, holster or range bag. If personal protection may be of interest to them, the gift certificate can be redeemed for classes, private instruction or non-lethal pepper sprays, stun guns or tasers. Pepper sprays are a great tool for those who choose not to carry a firearm or for the 'gun-free' areas where people shop, work or attend college. This is non-lethal personal protection that will let you aim, spray and run to safety. A small and inexpensive item that can save you or your loved one from harm. A & S Indoor Pistol Range has something fun for everyone and our gift certificates never expire. Stop by to pick one up or Contact us today to order. We can process your request over the phone and mail the gift certificate to you or to your special someone.